Teachers are the worlds unsung heroes. They work tirelessly to help shape our kids into the world's future leaders. For all the work they do, they are vastly unappreciated. In honor of teacher appreciation (and because I love to craft! ), I compiled a list of 12 Cricut Gift Ideas for Teachers. 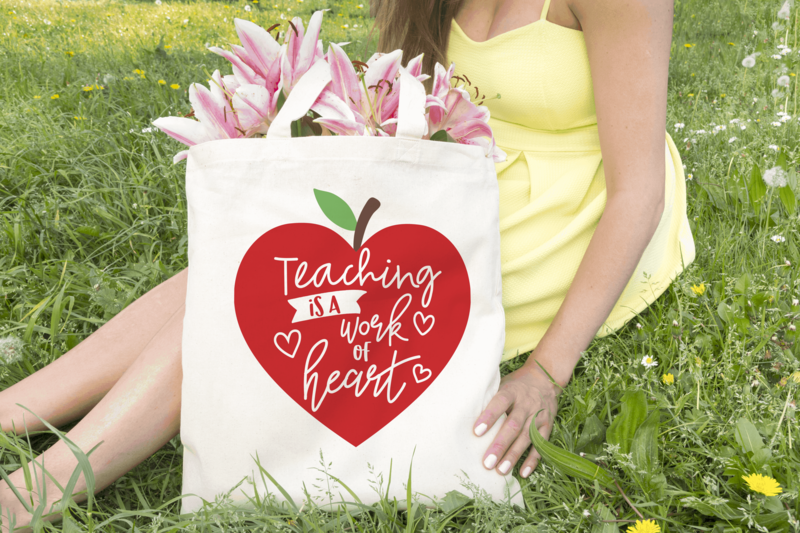 Whether you're making gifts for your own teachers, or your helping your child show their appreciation to their teachers, I think any one of these gift ideas will make them feel so special! If you'd like to save this post to Pinterest, I made it easy with this pinnable image! Does your child have a teacher that you adore? 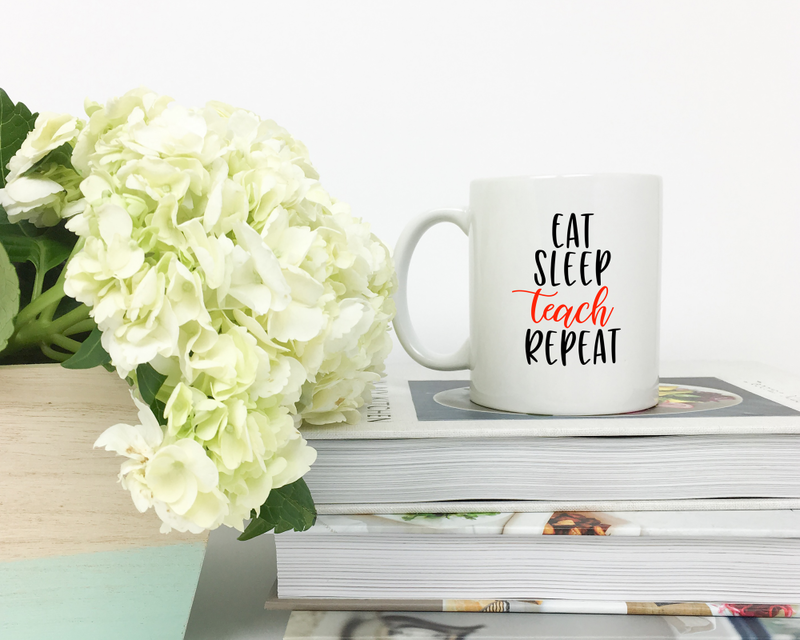 Print out a design on your Cricut or Silhouette to make them a special mug! Is your husband or wife a teacher? Make them a mug. Want to express your gratitude to an influential educator from your life? Mug. A vinyl design on a mug is the perfect go-to gift for a reason! Because it’s the best! But let’s be real, it is an especially great gift for teachers who need a little more caffeine than the rest of us 😉 Have a lot of teachers you appreciate? Buy your mugs in bulk. If you love this design of mine you can shop it here! This is such a lovely and personal classroom decoration, especially for an elementary school teacher. All you need is a knife, crayons, a frame, and a glue gun! What could be simpler? You can find the full tutorial here on Confidence Meets Parenting! As you can see, they use a pretty standard font to put the teacher’s name at the bottom. If you want spice yours up, why not use a more fun font instead! May I suggest this one? You can also use the same idea with your Cricut or Silhouette! Start with an SVG of a crayon, duplicate it, then slice one of them in half. Type a large bold letter, then move the crayon pieces on top. Keep duplicating and moving the crayon pieces until its covered. Make sure you have lots of different vinyl colors!! I’m sure that after a long day of imparting great wisdom to students, all teachers love a moment to relax. (And maybe even a cup of tea! You know, in a MUG!) Help them relax with some sweet aroma therapy. Candle scents I’m currently obsessed with: Vanilla pear, Balsam trees, and Sandalwood! The DIY is all in the label though! Unless you want to make your own candle too for extra, extra crafting points. I love the phrase, "Thanks for being a SCENTsational teacher!" How cute is that?? 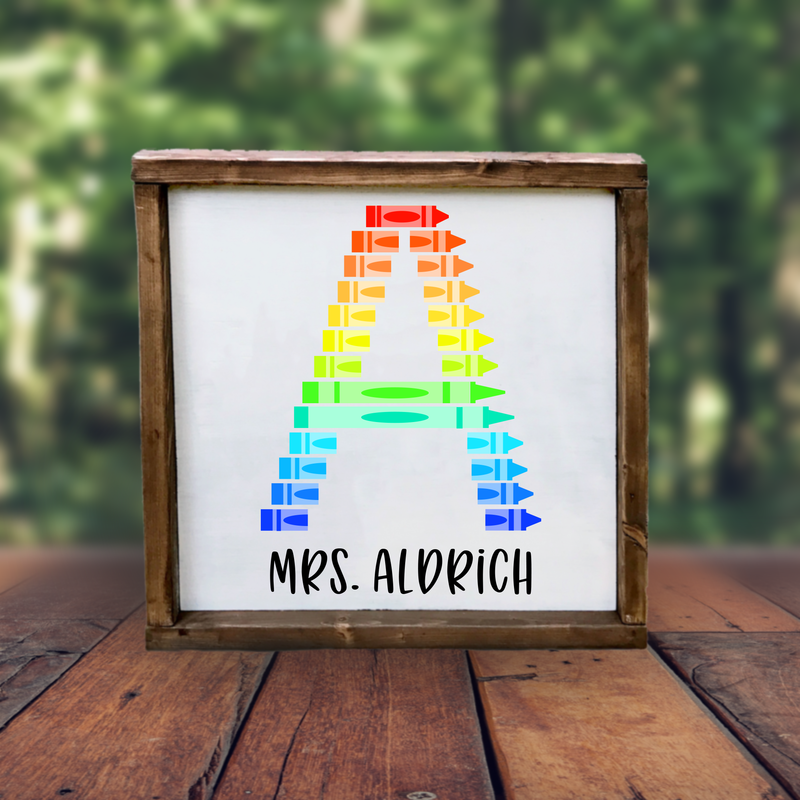 Get fancy with your Cricut or Silhouette to make a label as special as your teacher! Have an A+ teacher in your life? Make a gift with this SVG file. 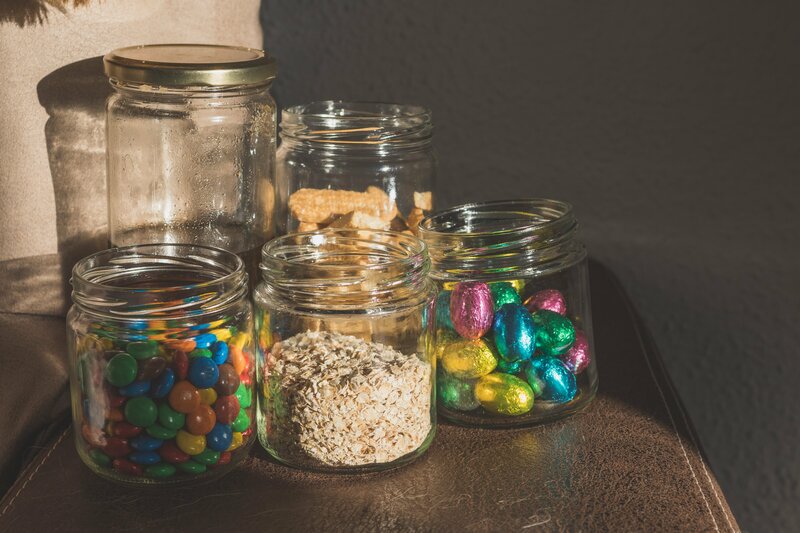 You can also fill a mason jar full of their favorite snacks! 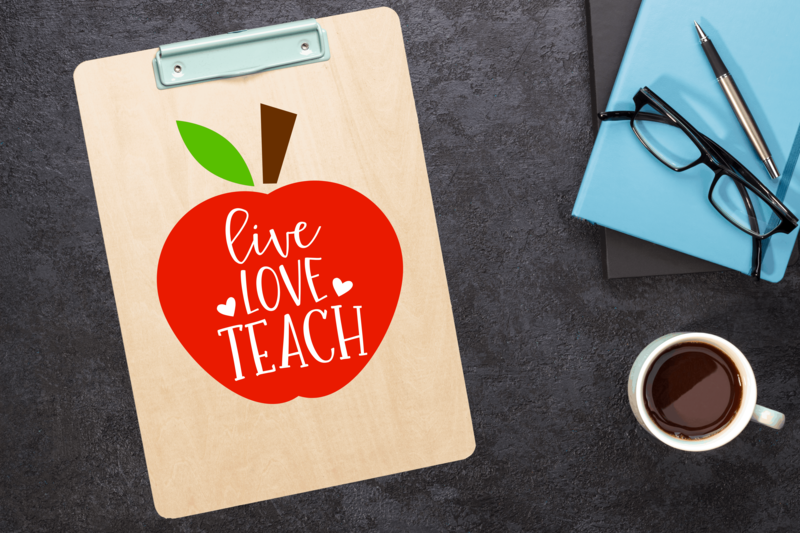 Give a teacher warm, fuzzy feelings every time they call role with a sweetly decorated clipboard just for them! Use your Cricut or Silhouette machine to cut out this (or any!) cute vinyl design. Attach to the back or front of the clipboard and viola! Easy as A, B, C! Like this design? You can get it here. I’m calling the police because, THESE ARE TOO CUTE. 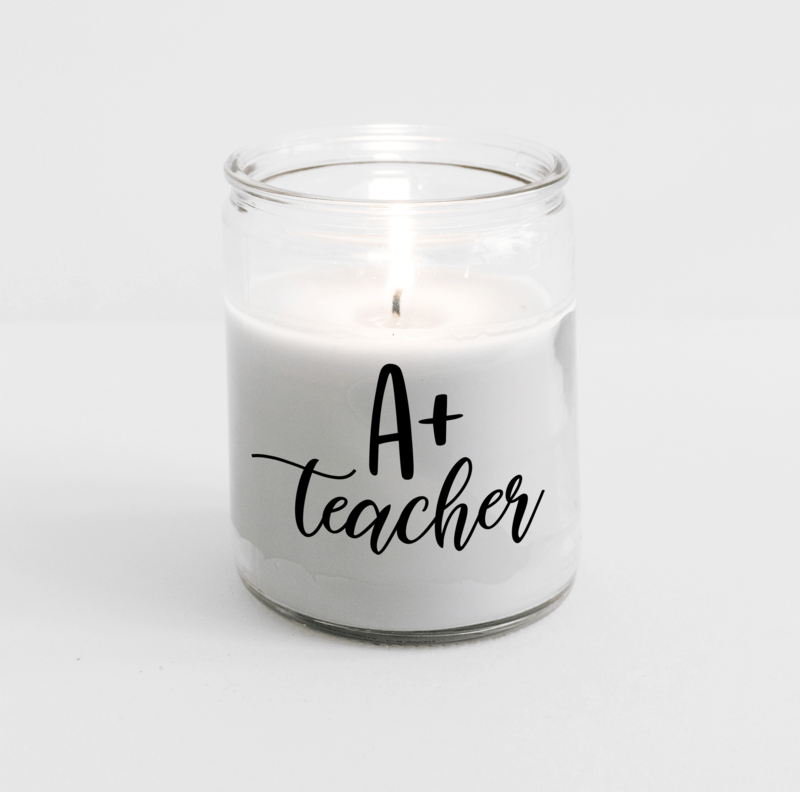 Are they perfect for any teacher in your life? Yes. Are they perfect for literally any person who loves cute things and owns pens? Also yes. I’m including Color Made Happy’s post with instructions for these jar because I love them so darn much, but frankly the sky is the limit! You could do something simple like the apple jar or something trickier! And if painting isn’t so much your style you can always cut out a vinyl design (like this one!) and decorate your mason jar that way! Mason jars make great gifts because they are so useful! 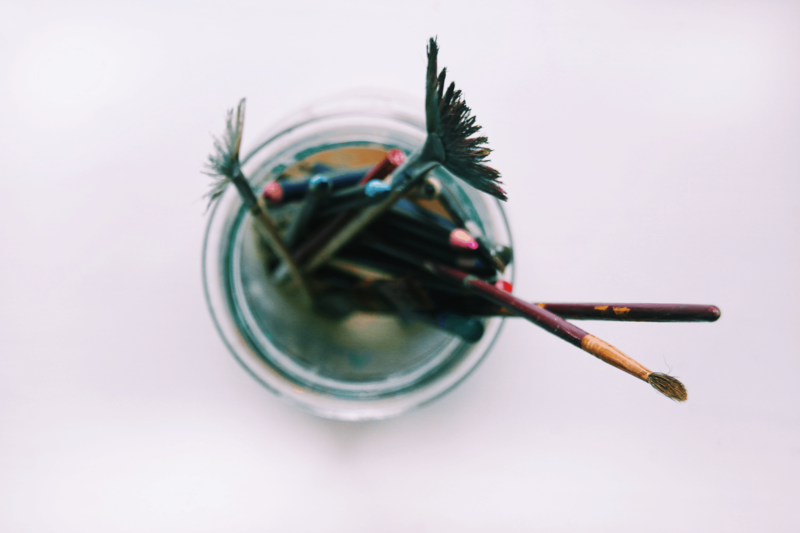 You can even use a mason jar to hold your paintbrushes - while you paint another mason jar! Need a quick and easy teacher gift that costs about 4 whole dollars? This is the one for you! Step one: Print the card. Step two: Attach EOS lip balm. Step 3: You did it! Go treat yourself to a glass of wine. I’ve included a 3 different card links so you can pick your favorite! The apple and space designs recommend cutting out a hole to fit the lip balm in but the flower design reminds us that we can just glue that little baby on if we want. Because we have glasses of wine waiting for us! Have Amazon Prime? Add these to your cart next time you order so you'll be ready when you need to make a quick gift. I had never seen this word cloud generator until I found this website. It’s such a simple and thoughtful idea! You simply type in the words you want (teacher, learning, classroom, etc.) and the website does the rest! Then you just print and cut when it’s all done! You can turn this into a card, a decal, or even a framed print! Either way, you can use your Cricut or Silhouette to make the surrounding paper designs extra special. The website allows you to upload your own image to make your word cloud. Luckily I have the perfect thing for you to use! Perfect for a group gift or even for colleagues if you’re a teacher yourself! 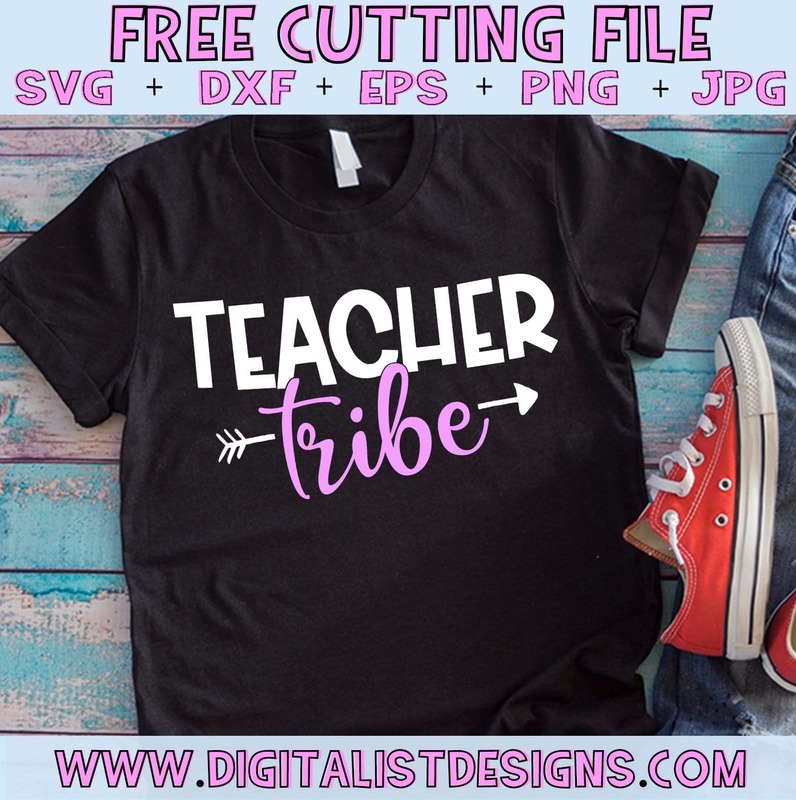 This is my own “Teacher Tribe” design and it is absolutely 100% FREE! You can download it here! For this project you'll need a blank T-shirt (I buy mine in bulk here), Heat Transfer Vinyl (HTV for short) and a heat press! You can use an iron, but I've had some issues with the HTV peeling up. This problem disappeared after I got my heat press! Check out my freebies library for all kinds of designs you can use for gifts! Succulents are so popular right now and with good reason! They're way easy to take care of, and they're very cute! I think any teacher would be happy to have this lovely reminder that someone was thinking of them. The teacher can either take it home, or keep the plant in the classroom where students can watch and learn all about these spectacular plants. Grab your Cricut and your vinyl to make some decals. Monograms are great for this! If you're looking to share your thanks, a good phrase to use is "Thanks for helping me grow!" 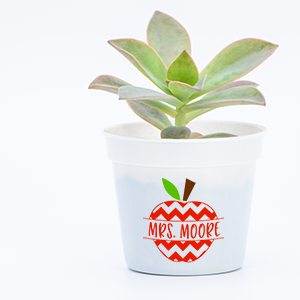 Make the succulent super personalized by adding a monogram! You can shop this chevron monogram SVG here. What teacher isn’t constantly carrying around books and supplies and papers to be graded and lesson plans and all other manner of stuff?? Although you can’t carry it all for them, you can at least let them haul their haul in style! The method for this is the same as making custom T-shirts, except with a tote bag! Like this design? You can shop it here. Okay, so I included this one here for my overachievers. My A++ crafting students. I think this is a gorgeous little craft that is actually deceptively simple one you read the guide! 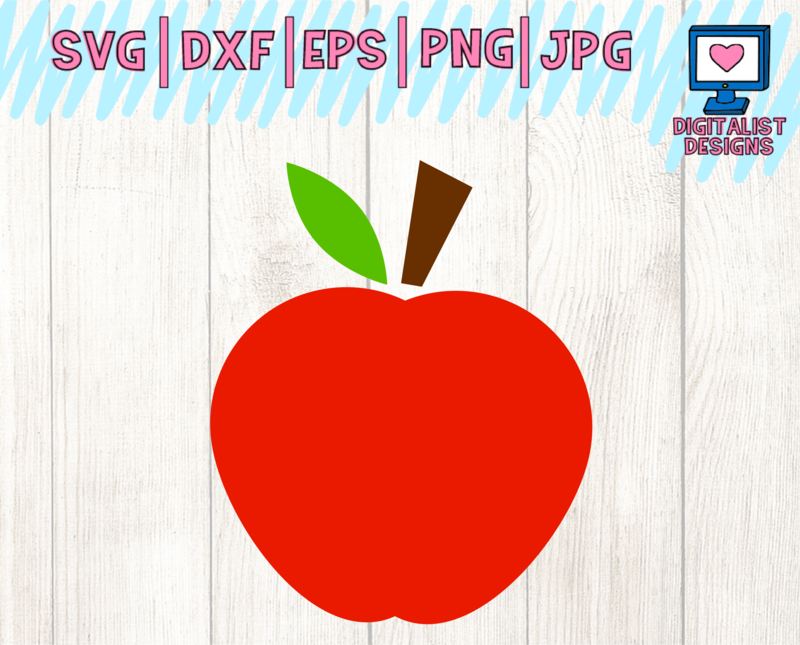 Any teacher would be proud to display this everlasting apple on their desk. This guide comes from the blog Hymns and Verses! If you are an exacto-knives, paint, and careful measuring kind of crafter then this is the project for you. And if not, that’s okay too! Remember, there’s nothing wrong with the gift of a nice mug! The tutorial tells you to use watercolor paints for your apple. I highly recommend these paints for craft projects! They have really long lasting and vibrant colors! Thanks for reading this list of 12 Cricut Teacher Gift Ideas! Are there any teacher gifts that you've made in the past that you'd like to share? 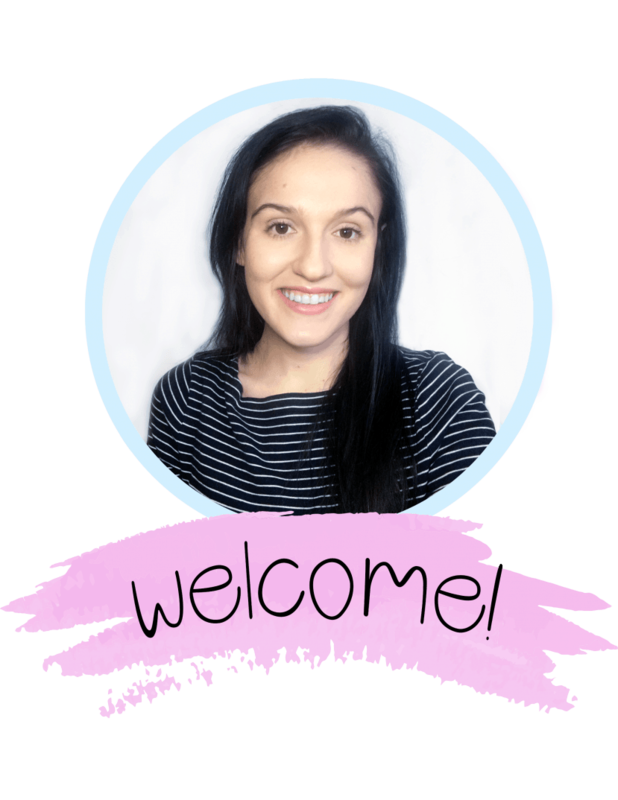 Did you use your Cricut to DIY or something else? I'd love to hear from you, so let me know in the comments! If you'd like to up your personalized crafting game, click here to find some FREE monogram fonts! And if you're looking for some new Cricut accessories to give you the cutting edge, I've got you covered.